A 10 gallon aquarium is a popular choice for beginning hobbyists. Many hobbyists set up a 10 gallon aquarium as a low light, low tech freshwater tropical community tank. Other 10 gallon aquarium setup ideas include species tanks for Amano Shrimp, Red Cherry Shrimp, Ghost Shrimp, Nerite Snails, Ramshorn Snails, Mystery Snails, Gold Inca Snails and Ivory Snails. A 10 gallon aquarium may also be planted with live plants such as Anubias Barteri, Anacharis, and Moss Balls. 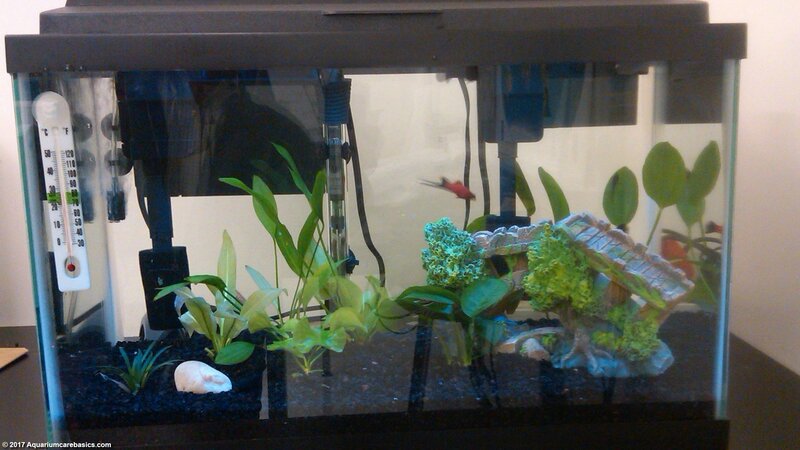 Finally, a 10 gallon aquarium setup can be a good choice for a fry tank or a temporary quarantine tank for sick fish. 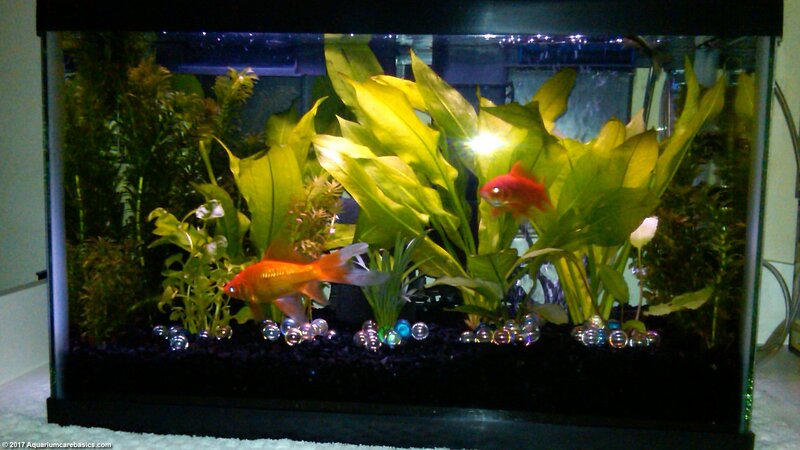 A note about Goldfish: A 10 gallon aquarium is not the best choice for Goldfish. Keeping Goldfish in a small tank like a 10 gallon aquarium can quickly lead to water quality issues. And poor water can be harmful or even fatal to fish. But since my children won two small Goldfish at a street fair, and we were pressed for physical space, I had to temporarily keep the two small Goldfish in a 10 gallon aquarium. Soon thereafter, the Goldfish were moved to a larger tank with more water capacity and everything worked out. Just be aware that a 10 gallon aquarium is really not the best choice to keep Goldfish over the long term. There are many 10 gallon aquarium kits on the market these days. A 10 gallon aquarium kit is easy to setup. But the small size, low water volume and limited surface area of a 10 gallon aquarium make it challenging for beginners to maintain stability over time. Its not impossible, its just worth a mention. That said, a 10 gallon aquarium kit does have advantages for beginners. One advantage is that a decent 10 gallon aquarium kit contains nearly everything needed to get a tank up and running. Another advantage is a 10 gallon aquarium kit is almost always “on sale” at local shops, at chain stores and on-line. Some hobbyists feel that purchasing an aquarium kit at a local pet shop is a benefit. They believe they are getting greater access to shop keepers with aquarium knowledge. Other hobbyists feel that getting an aquarium kit at the bigger chain stores is better. They believe they are getting a better deal on price. Still others shop on-line. Either way, keep in mind that not all aquarium kits are the same. Aquarium kits can vary by brand and price range. So shop around. Compare contents, research differences, and try to get the best value for the dollar. An important accessory not included in an aquarium kit is an aquarium stand. A filled 10 gallon aquarium weights about 111 pounds. Make sure the aquarium stand is sturdy and able to handle the combined weight of the water and gravel. Tables and stools are not strong enough to support a fish tank. And their legs can be kicked out easily. The best bet is to invest in an aquarium stand made for the aquarium size purchased. With an aquarium kit, its important to remember that kits are only the beginning. Aquarium hobbyists need more accessories than those included in an aquarium kit to maintain a healthy tank over the long run. More experienced hobbyists may feel its even a better idea to purchase items separately to get upgraded accessories for a few dollars more than the total price of a kit. Water Temperature: Fish are cold blooded, and a slight shift in water temperature can cause stress and diseases. When doing a partial aquarium water change in 10 gallon aquarium, the temperature of the water going into the tank must be the same as the water remaining in the tank. This is true in all tropical aquariums, but it is especially true for smaller tanks where aquarium water volume is low. Even a few degree difference in water temperature can be significant. Assume that a 10 gallon aquarium has water that is 80 degrees. A partial aquarium water change of 25% means swapping out 2 ½ gallons. Replacing 2 ½ gallons of 80 degree of aquarium water with 2 ½ gallons of 70 degree water will create a significant drop in aquarium water temperature for the fish. 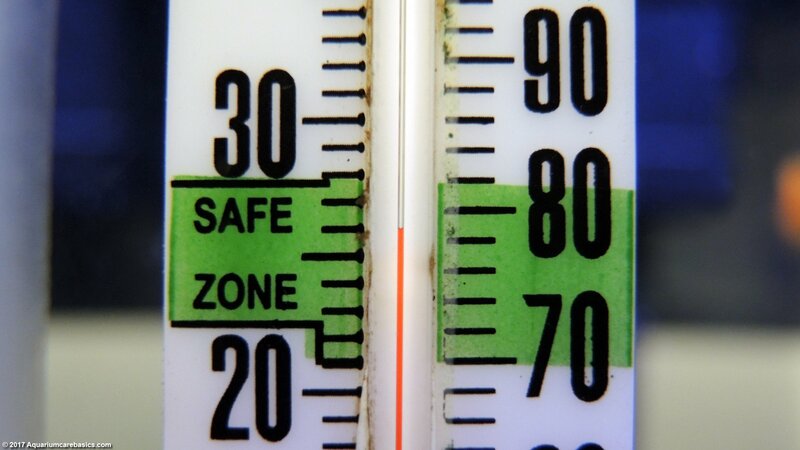 This sudden change in water temperature can really cause problems. Overstocking and Overfeeding: Both overstocking and overfeeding create a lot of waste and tax the ability of the tank to process it properly. This results in poor aquarium water quality and an unhealthy environment for fish. While this is true of all tanks, a small tank like a 10 gallon aquarium is especially susceptible to this problem. Cloudy aquarium water is a common issue. 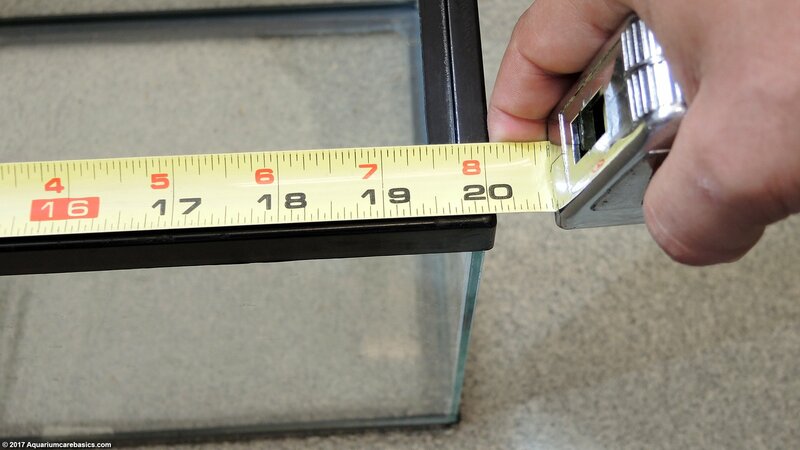 A 10 gallon aquarium measurements results in limited surface area on glass. Limited surface area on glass means that there is not much room for nitrifying bacteria to grow. This lack of living space for good bacteria is not necessarily a bad thing, it just means that there limits to the amount of fish a 10 gallon aquarium can support. Overstocking and overfeeding causes problems related to waste processing, and Ammonia, Nitrite and Nitrate levels. Nitrate Buildup: After the aquarium cycling process has completed, the low water volume of a 10 gallon aquarium allows Nitrate levels to build quickly. While low levels of Nitrate in aquarium water are not toxic to fish., high levels of Nitrate are. That’s why Nitrate levels must be watched closely. Also, high Nitrates damage the water itself. Over time, high Nitrates tax buffering capacity and the ability for water to maintain stability. pH becomes more acidic and “Old Tank Syndrome” sets in. This is why regular partial water changes are important. Partial water changes help keep Nitrate levels down and water buffering capacity up. 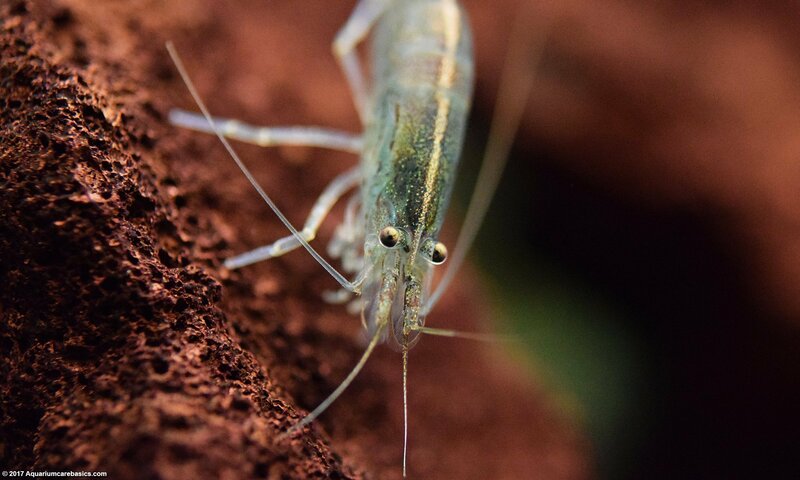 If a 10 gallon aquarium is in the cards, then approach aquarium care slowly and patiently. Be sure to buy fish that are compatible and appropriate for a 10 gallon aquarium, and most importantly avoid overstocking. Setting up a 10 gallon fish tank is relatively easy. The challenges begin after the fish go in the tank. Because many new hobbyists tend to overstock and under-filter, water quality suffers and fish may be injured or even die. Some starter kits have a small plastic in-tank filter. Others have a small HOB power filter. A small plastic in-tank filter can do the job for a 10 gallon tank provided the fish count is kept low. An HOB power filter can provide more filtering capacity and can keep aquarium water cleaner. There are many different HOB power filter brands available. Most can be purchased on-line or at pet stores in the $20 – $30 range. Its worth the upgrade.